Or in English- thank you so much! To Steve Hancock from Dealrite and Sandra Hancock from ESL, based in Longton Stoke-on-Trent. 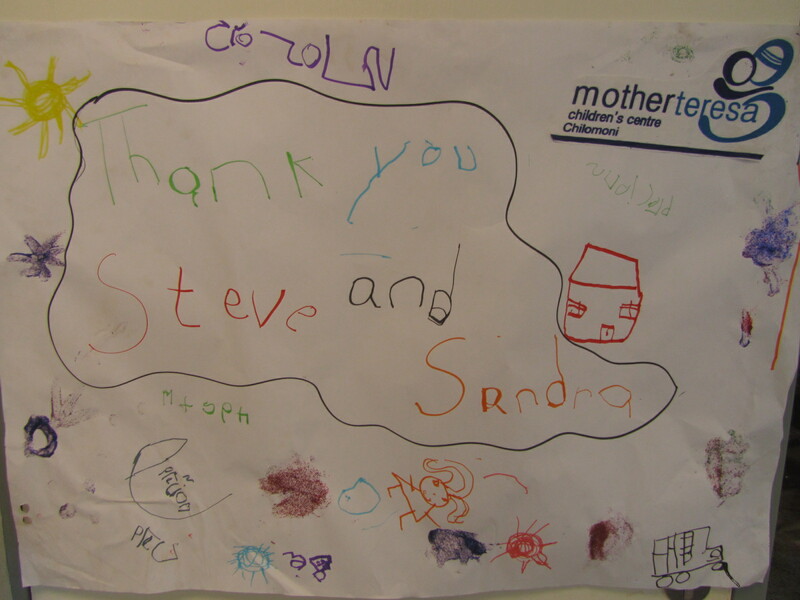 Both businesses have supported us hugely through the donation of children’s art and craft resources and toys for Mother Teresa Children’s Centre. 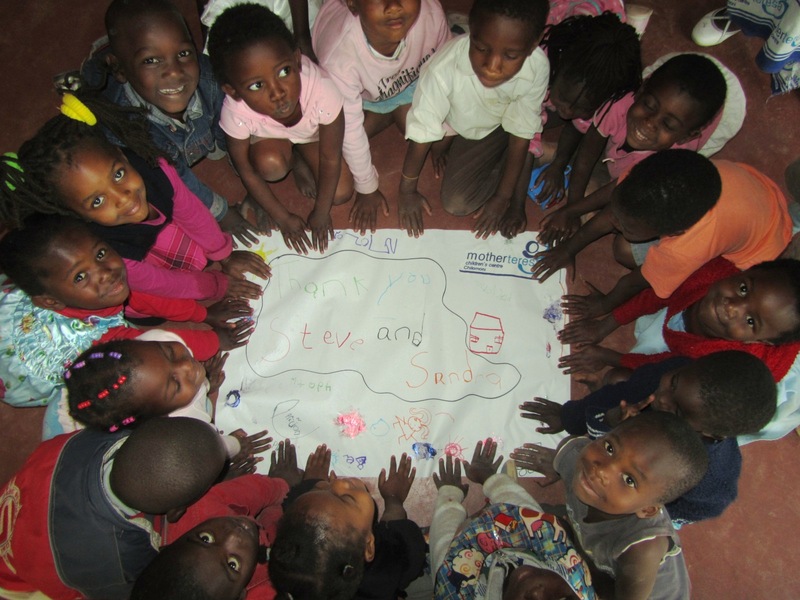 It means so much that the children at the Chilomoni Township Children’s Centre wanted to thank you themselves. The books, paper, paints and toys will be loaded on to our next container on the 11th August, it will arrive in Malawi just in time for Christmas, what a lovely gift! 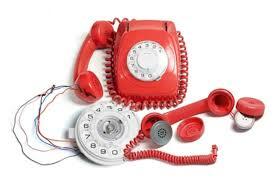 To all our UK supporters, thank you for your patience while we’ve been having trouble with our phone systems. The amazing Techies from Mobell Communications are helping us out and hopefully normal service will be resumed very soon. In the meantime, if you are unable to reach our office number, please do use our mobiles- Zoe 07545 406160 or George 07525540155.